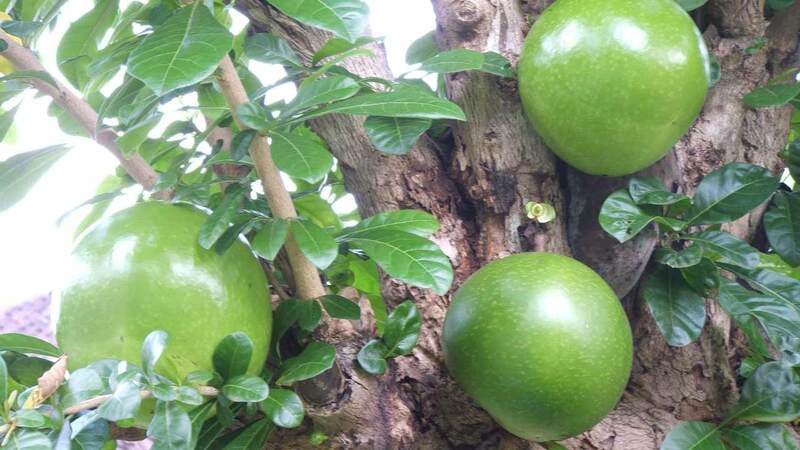 Maja fruit is a round elliptical fruit that comes from the citrus tribe. There are 2 types of fruit maja is the fruit maja bernuk (Crescentia Cujete) which taste bitter and fruit maja bael (Aegle Marmelos) that taste sweet. Maja fruit which is an endemic plant of Indonesia is a maja fruit that has a bitter taste while the fruit maja that has a sweet taste comes from India and Bangladesh.